Treasure linked to the reign of 10th Century Danish King Harald Bluetooth has been dug up in northern Germany. An amateur archaeologist and a 13-year-old boy found a silver coin on the Baltic island of Rügen in January when scanning a field with metal detectors. Experts kept the find secret until a team dug up 400sq metres (4,300sq ft) of land at the weekend. 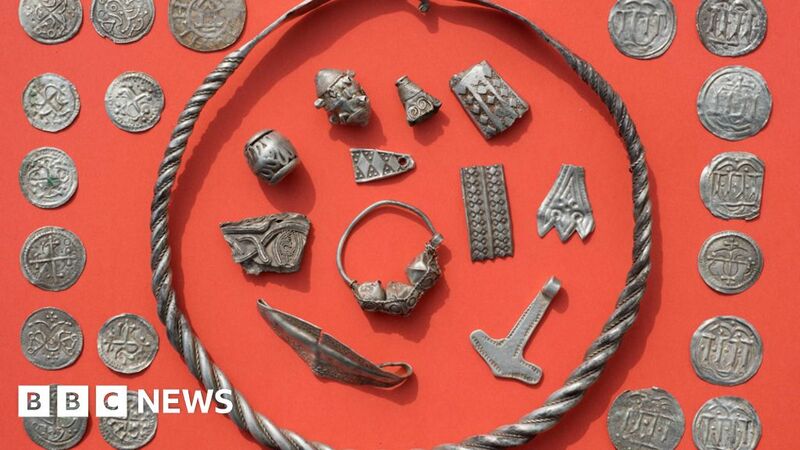 They found braided necklaces, a Thor’s hammer, brooches, rings and about 600 coins, probably buried in the 980s. Harald Bluetooth was born a Viking and is credited with unifying Denmark and introducing Christianity there during his reign. In the 980s he fled to Pomerania, now in north Germany, after losing a big sea battle against forces loyal to his son Sweyn Forkbeard. Bluetooth died in 987. The king was immortalised by Nordic technology firms when they embedded their wireless “Bluetooth” technology in digital gadgets. The site of the treasure trove, Schaprode, is a few kilometres from Hiddensee, where a 16-piece gold hoard dating from Bluetooth’s reign was found in the 19th Century. The Schaprode discoverers – 13-year-old Luca Malaschnitschenko and amateur archaeologist René Schön – are in a group of enthusiasts looking after historical sites in Mecklenburg-West Pomerania state in north-eastern Germany. Bluetooth led his warriors in campaigns against Frankish nobles who ruled parts of France and Germany in the Carolingian Age. After converting to Christianity in 950, he set up bishoprics in Denmark, consolidated his kingdom with forts and seized some territory in Norway and north Germany. The earliest coin in the Schaprode hoard is reckoned to be a Damascus dirham dating from 714, and the latest ones are Frankish Otto-Adelheid pennies minted in 983. 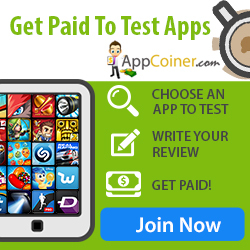 More than 100 of the 600 coins are believed to have been minted in Bluetooth’s kingdom. They have Christian crosses on them and were given to Danish nobles.